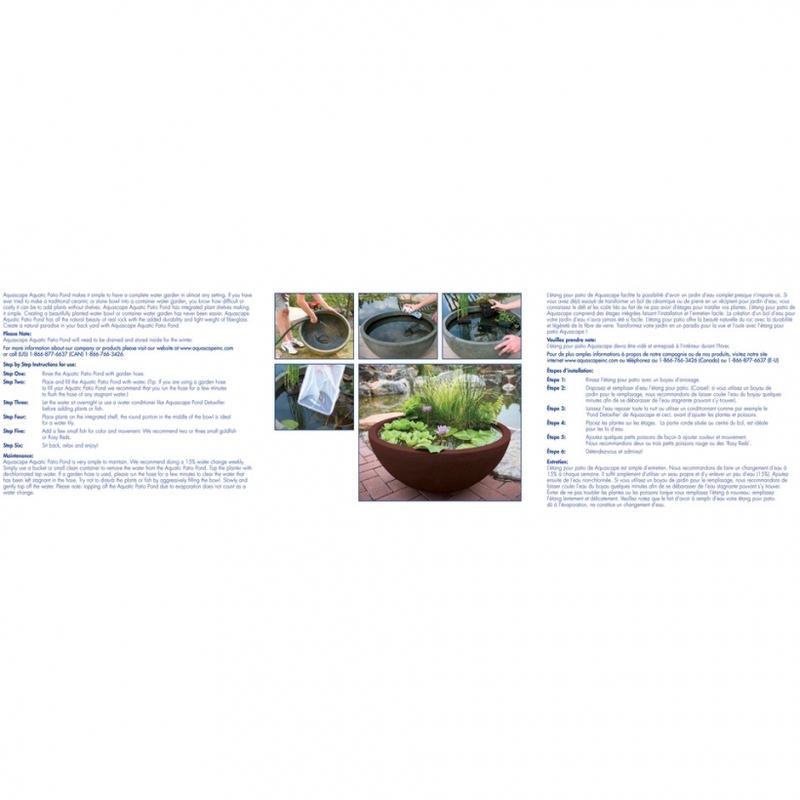 European Terra Cotta 24" Patio Pond - 10 gal - Aquascape, Inc.
Do you love the beauty of water gardens but lack the space for a pond? Aquascape Patio Ponds make it simple to have a complete water garden in any setting without ever having to touch a shovel. The integrated plant shelf and plumbing ports makes creating a beautifully planted container water garden easier than ever. 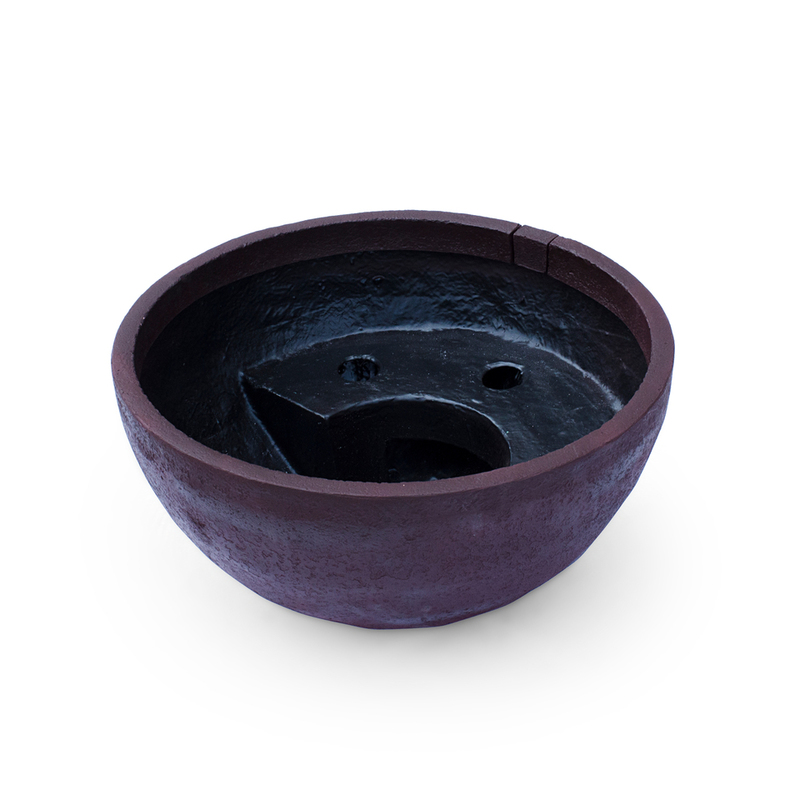 The durable fiberglass construction is lightweight, ages like real stone, and never fades or chips. Aquascape Patio Ponds can be used to transform any outdoor or indoor environment and the natural finish allows the feature to blend easily into a wide variety of settings. 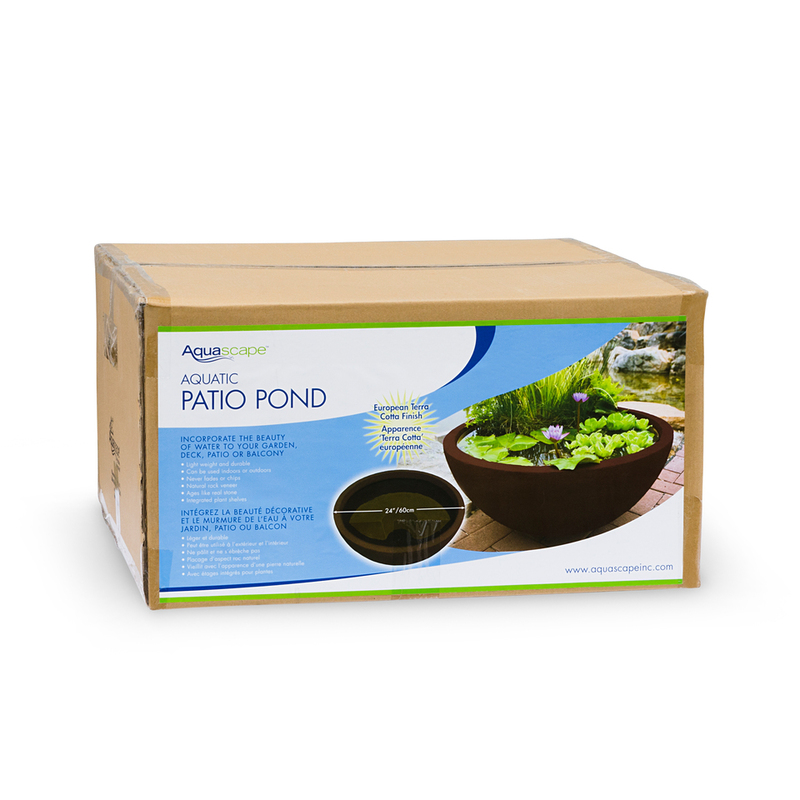 The 24″ Patio Pond measures 12 inches high and holds up to 10 gallons of water. Aquascape is passionate about the products we produce, providing unique products, designs, and features that stand above the competition.